Looking for the Career Golden Masters, Djokovic heads to the finals. World No. 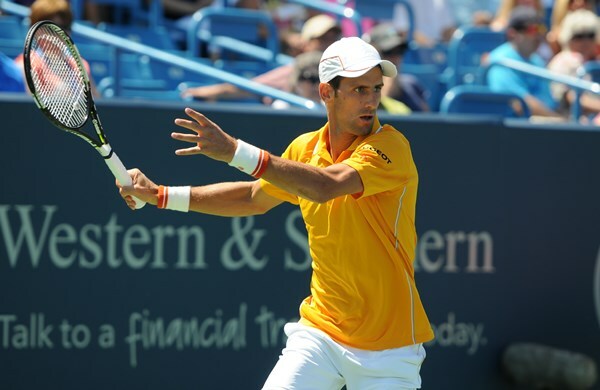 1 Novak Djokovic is back in the Western & Southern Open singles finals for the fifth time in his career. Djokovic rallied from behind in a high-level second-set tiebreaker and pulled away in the first set for a 4-6, 7-6(5), 6-2 victory over qualifier Alexandr Dolgopolov of Ukraine. Using power off the baseline and unpredictable direction changes during rallies, Dolgopolov won the first set and maintained his high level into the second set. Djokovic served for the second set at 5-3, but Dolgopolov broke and eventually forced a tiebreaker. Dolgopolov led the tiebreaker 3-0 but Djokovic tied things up before the change of ends. During a crosscourt backhand rally, Dolgopolov ripped a winner up the line to take a 5-4 lead and a chance to serve out the tiebreaker on his racquet. He mishit the next point into the net, and Djokovic won the next two points to take the tiebreaker 7-5. 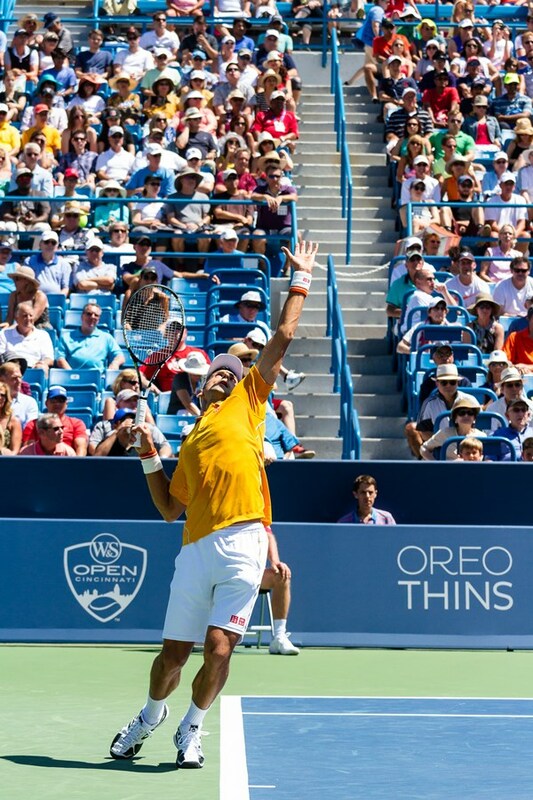 Djokovic rolled away in the third set to seal his fifth trip to the finals at the Linder Family Tennis Center. He is now 5-0 in semifinals here and is 29-1 in Masters 1000 events in 2015. <strong>NOTES:</strong> Djokovic is now 26-10 in Cincinnati … Dolgopolov was previously 0-4 in Cincy in his career but won three main draw matches here this week … Djokovic has won four ATP Masters titles this year (Indian Wells, Miami, Monte-Carlo, Rome) and 24 in his career … Cincinnati is the only Masters he has not won in his career. He is bidding to become the first player to win all nine Masters events … This was Dolgopolov’s second semifinal of the year (Nottingham) … He was the first qualifier to reach the semifinals here since David Wheaton in 1994.